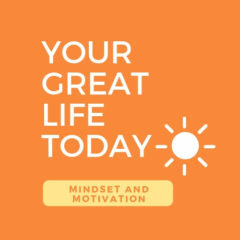 Today I will make things happen. Author Howard ValentinePosted on April 18, 2015 April 20, 2015 Categories Podcasts, RunningLeave a comment on If Not Today, When? Shoes sure seem like they lasted longer when your are only 115 lbs. Yup, when I was in 8th grade and just started out running I was somewhere around 115 pounds, no wonder it felt like I was flying in the air when I ran. I remember my first trip to the new running store in our local mall. I was in in 8th grade and it was early September. A kid in the neighborhood that I went to school with was into running and he was intent on turning me into a runner too, I don’t think he really cared about me becoming a runner so much as he did just having someone who looked like a runner to drag along. He always seemed pretty knowledgeable about running and especially about running shoes, looking back he probably did because there were only like 6 shoes choose form. 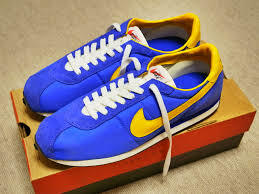 My first pair of shoes were Nike waffle Trainers, I remember them vividly they were blue with the yellow swoosh. When I think of that pair of shoes I get very nostalgic and get the urged to to go on e bay and buy a pair. I always wonder if people go on to eBay looking for things from there childhood, I do it all the time. One thing that was great about running in the late 70s as a kid was there was no pressure to be fashionable when it came to running clothing. Your choice was grey sweat shirt and grey sweatpants or a grey sweatshirt and grey sweatpants. I think it was all about the whole Rocky look. One day this coming spring I am going to take a trip back to my hometown and run those same streets that I did as a kid. I may not have the waffle trainers but I will take with me what I still have left from my early days of running my high energy and enthusiasm for running.